EJ Cunningham Ltd. is a general contractor that has been serving the Sussex and surrounding area for over 50 years. We provide prompt and quality service with competitive pricing. 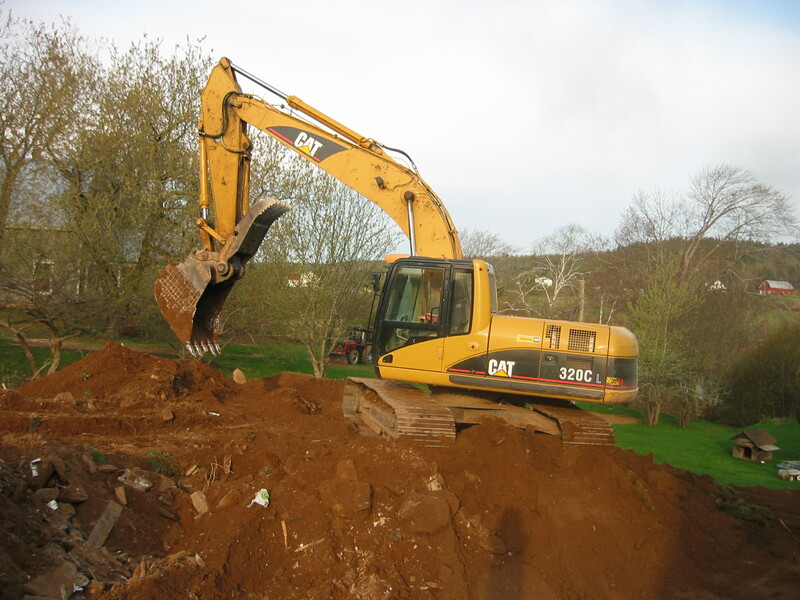 Our services range from small jobs such as gravel deliveries, ditching or septic systems to larger projects such as road and subdivision development. Our operators and project management staff are experienced and will work with you to find the most efficient way to get your job done. We keep our equipment up to date to ensure it is reliable and use conventional survey equipment along with GPS technology to deliver the highest quality of work. Our operators take pride in their work and will do everything they can to ensure that the customer is satisfied with their job when they are finished. We are a member of the New Brunswick Association of On Site Wastewater Professionals and can help you with new septic system construction, or trouble shooting an existing system. EJ Cunningham Ltd. is a member of the New Brunswick Construction Safety Association and became NBCSA COR certified in 2009. We have experience working on large industrial projects that demand the highest standard of safety and we strive to meet that standard in all of our work. Whatever your needs may be, you can call us and one of our experienced team members will come look at your job to help you determine the best solution and provide a free quote.